December 18, 2012 | David S. Maldow, Esq. 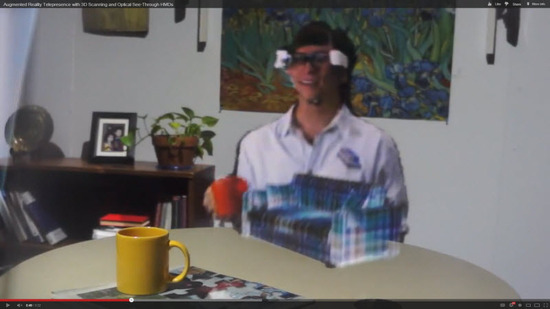 It may not be ready for prime time, but UNC's latest augmented reality telepresence research definitely has the right idea. In fact, we may be looking at a preview of the future of Telepresence. The term "Telepresence" has been under the gun lately, as the market for 3 screen solutions has reported disappointing numbers. However, Telepresence is not a product, it is a philosophy, and the team at UNC are pushing this philosophy to the next logical step. 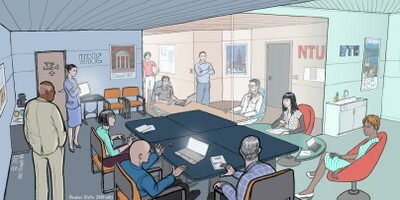 Telepresence is an experience that provides a convincing illusion of an in person meeting. If you start with high quality videoconferencing, and configure it to address the human factors of a meeting (eye contact, image size, placement, audio quality, room configuration, etc. etc.) you will be on the right path. With a setup like that, you will have productive meetings, with attendees focused on the business at hand, and not distracted by experience compromises. 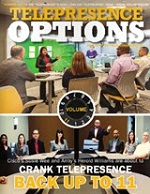 Today's telepresence solutions are providing enormous value to users all over the world. But, as good as it is, we all know that we haven't reached the end game. The illusion will never be perfect as long as we are using two dimensional images. In order to create the ultimate telepresence solution, the remote participant would have to appear, in 3D, in the actual local room. Today, when you VC with someone, you see them as they appear in their office; in the future, they will just magically appear in your office (see below). Obviously, the current state of the experience isn't going to fool anyone. But as a proof of concept I think this is a winner. While we must note the need to improve the quality of the hologram and get rid of the headset, what's more important is that they have the right idea for how remote collaboration should work in the future. The remote participant should be indistinguishable from local participants sitting at the table. In addition, UNC's technology has the ability to address telepresence from both perspectives, the local and the remote participant. This means that the illusion can be complete from all angles. Not only can the local people see the remote person appear in the room, the remote person can see the room appear around him. Just like in the movies. This research appears to be from the same team behind UNC's participation in the BeingThere International Research Centre for Tele-Presence and Tele-Collaboration. This $18 million project, focusing on futuristic 3D telepresence and related technology, is attempting to revolutionize the way people communicate. It looks like the future of collaboration is may not be as far off as we once thought, and what we now see in the movies could be in our boardrooms sooner than we expect. It may not be ready for prime time, but UNC's latest augmented reality telepresence research definitely has the right idea. In fact, we may be looking at a preview of the future of Telepresence. 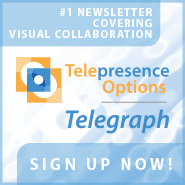 The term \"Telepresence\" has been under the gun lately, as the market for 3 screen solutions has reported disappointing numbers. However, Telepresence is not a product, it is a philosophy, and the team at UNC are pushing this philosophy to the next logical step. This research appears to be from the same team behind UNC's participation in the BeingThere International Research Centre for Tele-Presence and Tele-Collaboration. This \$18 million project, focusing on futuristic 3D telepresence and related technology, is attempting to revolutionize the way people communicate. It looks like the future of collaboration is may not be as far off as we once thought, and what we now see in the movies could be in our boardrooms sooner than we expect.